Participating in your company's 401(k) will only get you so far if you don't understand how that plan works. If you're lucky enough to have access to a 401(k) plan through your job, you've probably been told that participating is a smart move to make. But if you don't understand how that plan really works, your savings efforts might get stunted. With that in mind, here are three things you need to know about your 401(k). The more you're able to sock away each year in your 401(k), the more money you stand to retire with. But if you fund a traditional 401(k), as opposed to a Roth, you'll also shave money off your tax bill, since contributions are made with pre-tax dollars. That's why it's important to stay on top of changes to 401(k) annual contribution limits -- because they do have a tendency to change from year to year. Last year, for example, workers under 50 could contribute up to $18,500 to a 401(k), while workers 50 and older were allowed to contribute up to $24,500. This year, however, these limits have gone up to $19,000 and $25,000, respectively, which means you have an even greater opportunity to build wealth and lower your tax bill by maxing out. 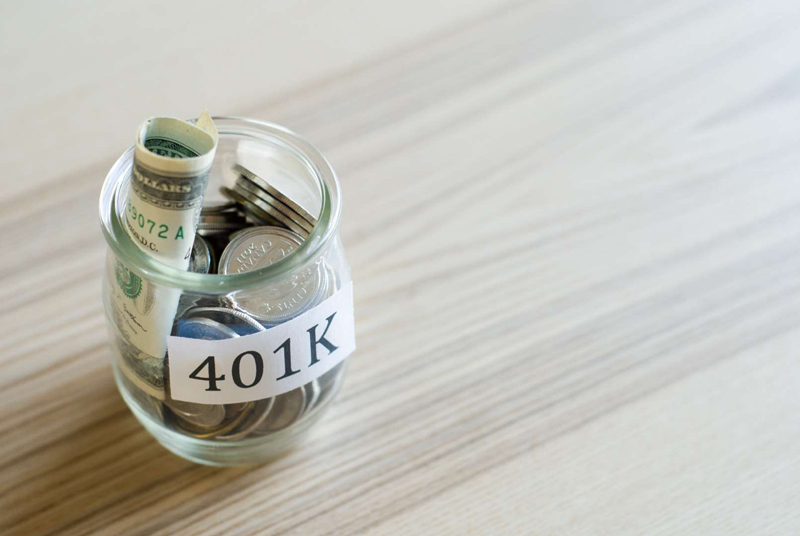 Most employers who sponsor 401(k)s also match employee contributions to some degree, thereby giving workers a chance to get their hands on free money. But if you don't know how much you'll need to contribute to snag that match in full, you could end up losing out on money that otherwise would've easily been yours. The average company match for a 401(k) plan is now 5.1% of employee pay, according to the Plan Sponsor Council of America. Incidentally, that's the highest figure the PSCA has on record. If your company offers a 5.1% match, and you earn $50,000 a year, it means you'll need to contribute $2,550 from your own salary to get an additional $2,550 put into your plan. Unfortunately, as of a couple of years ago, an estimated 25% of workers weren't contributing enough of their own money to get their full employer match. Worse yet, when you give up free money in a missed employer match, you don't just lose out on that principal; you also lose out on the growth those matching dollars could've achieved over time. And that's a loss you can't afford. If there's one major drawback associated with 401(k)s, it's the fees participants are forced to pay for saving in them. If you don't read up on what those fees entail, you could end up losing more money than necessary. There are a few different fees you'll pay when you participate in a 401(k), including investment fees and administrative fees. While you can't necessarily control the latter, you have the ability to reduce the former. Administrative fees are the fees you'll pay for the privilege of having access to your plan. They're charged as either a flat rate or a percentage of your assets. The easiest way to determine what your administrative fees look like is to read your plan description or annual report. Again, you can't do much about these fees, but you should be aware of them. The fees you can reduce, however, are those you're charged for the specific investments you choose for your 401(k), and to that end, you can lower your costs by opting for index funds over actively managed mutual funds. With the former, you're not paying for the expertise of a hands-on fund manager, so the fees associated with your investments will generally be far more reasonable. Keep in mind that when you're reviewing your investment choices, you might not see the term "fees" but rather "expense ratios." The lower those are, the less money you'll lose off the bat. The more you know about your 401(k), the better positioned you'll be to save for retirement. Make sure you're in the loop on annual contribution limits, employer matching policies, and plan fees to make the most of your 401(k) -- both now and in the future.